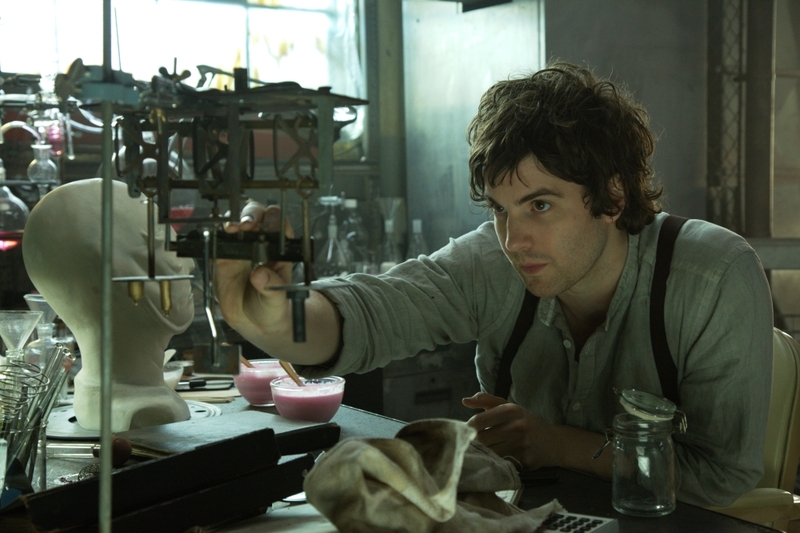 Jim Sturgess in ‘Upside Down’. Upside Down is a complex film that mixes elements of fantasy, romance, science fiction and politics. That having been said, it might best be viewed with the sound off. There’s no doubt that writer director Juan Solanas (best known for his 2003 short The Man Without a Head) is a visual storyteller. Being a photographer he clearly understands the power of an image. He’s also aware that beautiful pictures sometimes need a story, perhaps one full of romance, politics, and parallel universe theories. However despite having all these factors incorporated into his new film Upside Down, the finished product might leave audiences with that same feeling they get when awakening from a vivid but ultimately trivial dream. In a world that has two different gravity fields, Adam (Jim Sturgess) and Eden (Kirsten Dunst) meet as children at the top of opposite mountains. This leads to a star-crossed lovers tale where the two are fated never to be as one, because they are literally upside down. After spending some time together using each other as gravity boots, an unfortunate accident occurs and Eden is believed to have perished. Flash forward to the near future and we find out that Eden, complete with a case of amnesia, is still alive. After spotting her on television, our heroic lead (who is now something of a science whiz) is quick to apply for work at the conglomerate that everyone from his world hates, just for the chance to meet her again. This of course is where the story really begins. Just in the first two minutes of Upside Down with only Sturgess’ (bubbly) voice over and some cute animation graphics to go on, the film feels a little hackneyed. Thirty minutes later your suspension of disbelief will be working overtime trying to figure out (but wait, if he’s upside down…) the physics of this fantasy tale. Or perhaps it could be that Solanas had so much to worry about technically, that he didn’t have time to reign in the right performances from the two leads. Speaking of which, Dunst is all kinds of miscast in her role, and the chemistry between the two is clearly halfhearted. The one player who is enjoyable to watch throughout the film is Timothy Spall. He takes a small but pivotal role as a happily disgruntled employee who assists Adam on his quest to get the girl. It’s really a shame then that Solanas’ imaginative world, while enthralling to behold, while full of vivid colors and staggeringly imaginative CGI backdrops, really doesn’t bring us any closer to appreciating this fantasy tale. Truth be told, 100 minutes feels like an eternity to reach the end of what we all can guess will be the inevitable conclusion.